Hurricane Michael has caused widespread damage and power outages in Florida, Georgia, Alabama, the Carolinas, and Virginia. 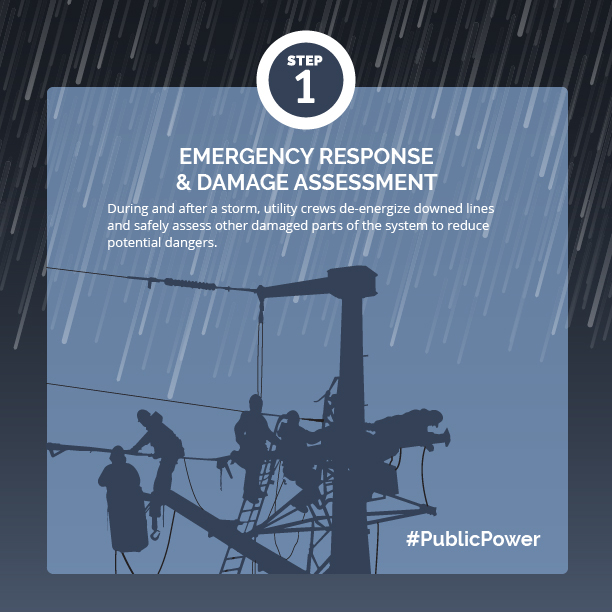 The American Public Power Association's mutual aid network was activated before the storm and emergency power restoration crews and materials have been dispatched, as requested by affected entities. We are also working round the clock with the rest of the energy industry and our federal government partners to monitor the situation and organize help as needed. 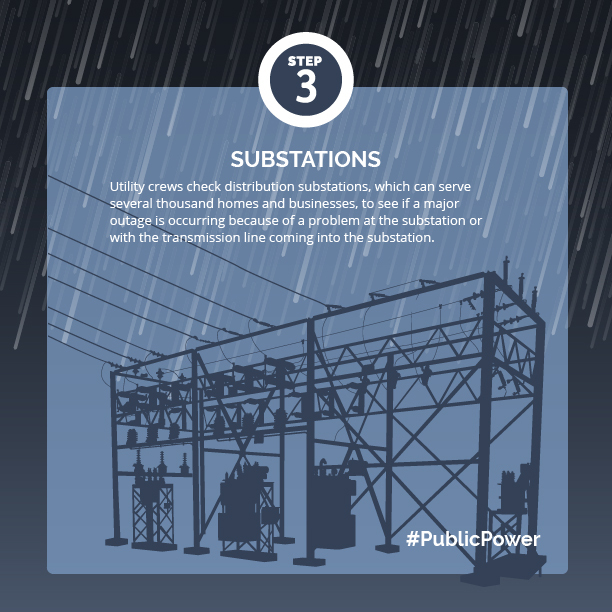 Mutual aid is electric utilities helping each other in times of need. 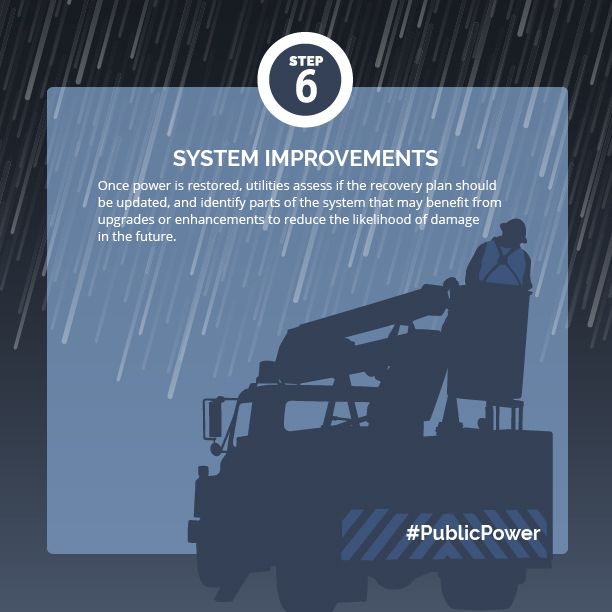 The American Public Power Association, together with state and regional public power utilities and organizations, coordinates the mutual aid network for the nation’s public power utilities. 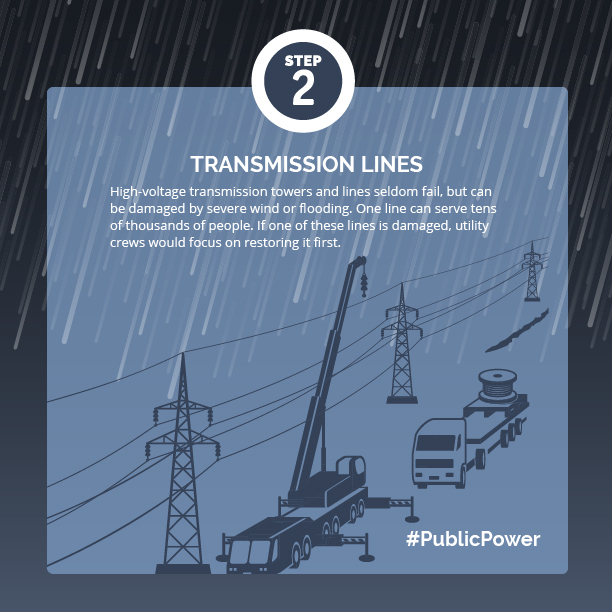 Utilities that want to give and get help for power restoration after a disaster sign up for this network. 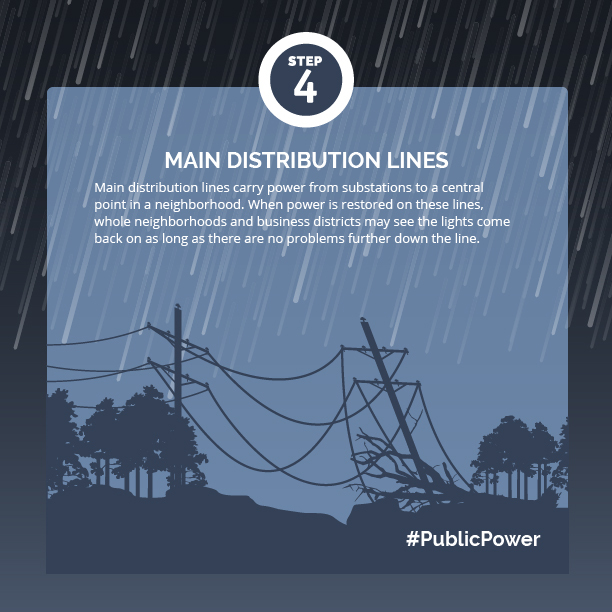 When (and even before) a major disaster hits a utility’s territory and the utility knows that its own crews and equipment won’t be enough to restore power quickly, it calls for mutual aid. It provides its best estimate of how many people it needs and what type of skills they should have. The utility also specifies equipment and material needs. 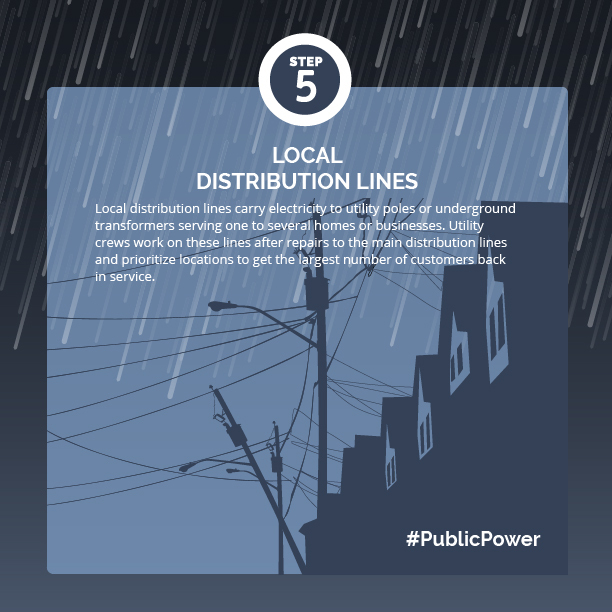 Other utilities in the network respond with what they can offer. 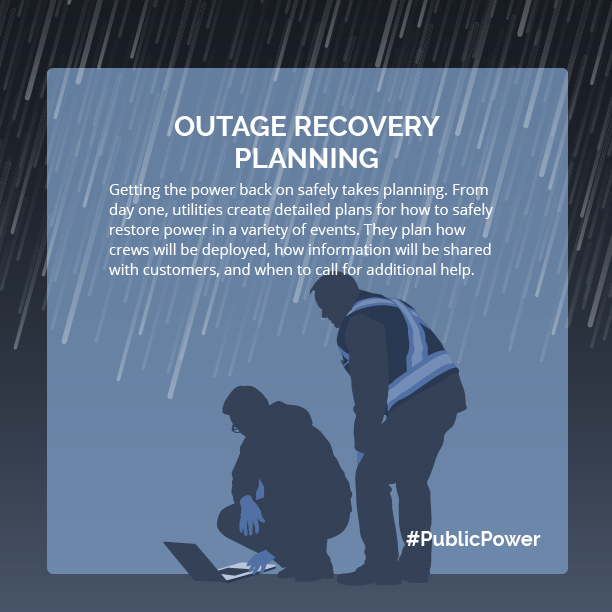 The actual dispatch and movement of crews from different utilities is coordinated by utility and public power association personnel who volunteer as regional and national mutual aid coordinators. Learn more about mutual aid in this fact sheet.